COMPANY PROFILE Ally Financial Inc is a US based financial service provider. It mainly serves automotive dealers and their retail customers. The company through its subsidiary operates insurance and corporate finance business. Ally Financial is a diversified financial services firm that primarily services automotive dealers and their retail customers. The company operates as a financial holding company and a bank holding company. Its banking subsidiary, Ally Bank, caters to the direct banking market through Internet, mobile, and mail. The company reports two primary operating segments: dealer financial services and mortgage operations. Ally generates the vast majority of its revenue through its dealer financial services, which includes the automotive finance and insurance operations. 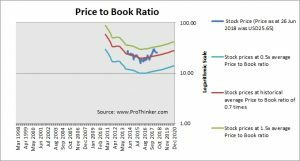 At the price of USD25.65 as at 26 Jun 2018, Ally Financial Inc is trading at a Price to Book Ratio of 0.8 times current book value. 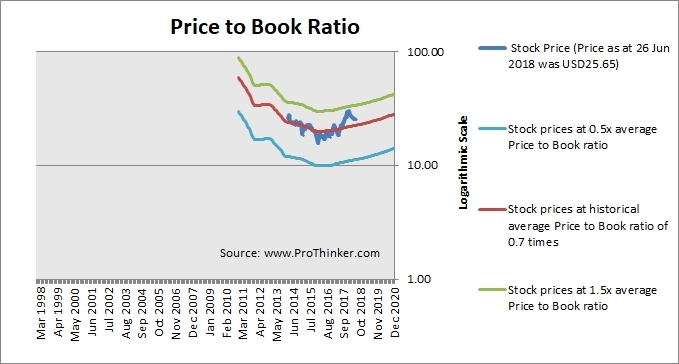 This is a 14% premium to its historical average Price to Book Ratio of 0.7 times.